Sold by I-Deal Media and sent from Amazon Fulfillment. 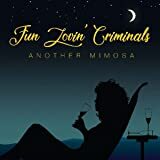 Amazon.co.uk Review Welcome to Poppy's sees the Fun Lovin' Criminals further embracing the tequila sunrise and bad Hawaiian shirt phase of their career that they launched with 2001's Loco. 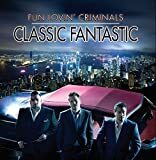 Just as real-life gangsters inevitably grow into cuddly caricatures, so Huey, Fast and new drummer Frank the Rhythm Man, New York's charismatic wannabe hoods, have swapped back-alley cool and wiseguy chic for tacky glitz and a fluffier take on street life. Now more Tony Soprano than Scarface, Huey shows his sensitive side on cosy swayers "Got Our Love" and "Beautiful", even intoning on "You Just Can't Have It All" that regrets, he may have a few. Either growing old gracefully or taking the mobster theme to its obvious country club conclusion, they're amiable, if unspectacular, tunes. Likewise, "This Sick World" is their familiar street-smart shuffle mellowed, while "Friday Night" lounges to the point of coma; albeit a very pleasurable one. Yet, even at their naffest (and Welcome to Poppy's doesn't pretend to be anything other than camp fun) they manage to pull a handful of absolute winners out of the bag. With cheesy winks and irrepressible choruses, the shimmy of "Too Hot", the bump of "Stray Bullet" and the slapstick blues of "You Got a Problem" would make even those who despise the FLC's gangster shtick sing-along. 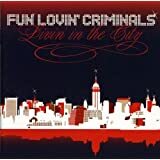 --Dan Gennoe Description 'Welcome To Poppy's' is the fifth album from New York basedoutfit Fun Lovin' Criminals and their first for the Sanctuary label. The album continues in the vain of the bands previous releases with Huey's laidback half rapped/half sung vocals layered over a hip hop and rock based soundtrack. The single 'Too Hot' is also included. Classic F.L.C. 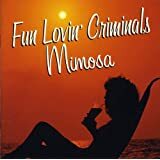 album that you will love to play time after time . From the 4th track onwards. A classic album full of attitude and personality. For me it marks the happy acclimatisation from youth to man - and none of the fun lovin' has been lost! Shows the full range that FLC can do. Great album. A few good tracks, but they've lost their magic. 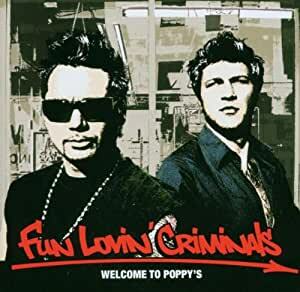 Welcome To Poppy's was the Fun Lovin' Criminals first album after their greatest hits compilation and also their first away from major label EMI. 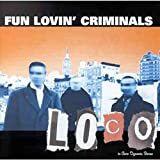 In addition to this, the Crim's last album Loco, although garnering some of their best reviews, fell flat with many of the fans. Big things were needed from this album - and big things they delivered. 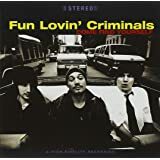 For me, WTP's is THE Fun Lovin' Criminals album that should be used to introduce people to first. 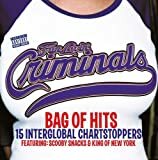 It contains everything from rock to soul to heart-filled balladry to funk to hip-hop, and most importantly the albums flows perfectly - there isn't a single duff track among the fifteen here and at no point will you want to skip any of the songs. And at least seven of the songs here could be potential singles. The gangster pose is still here, as is the excellent Huey sense of humour, but also now the boys have taken to occasionally lightening the mood with some slower bluesier numbers - sometimes remeniscent of the lighter jazzier tones from their earlier 100% Colombian album. These work beautifully with the album as a whole and help to ensure that the pace is well-maintained throughout. While probably not as credible as the boys earlier efforts, which were more hip-hop orientated, this album for me is The One. It is perfect to just put the Cd in the player, sit back, press play and listen. And how many albums can you genuinely say that about? 4.0 out of 5 starsGreat band cool album. Good album by a underated band .